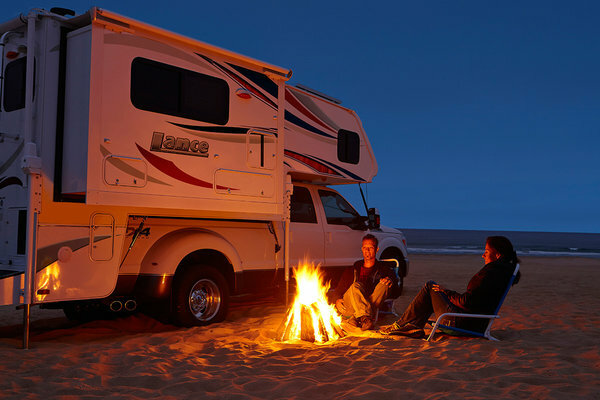 Searching through vast inventories of RV rentals can seem like hiking through the woods without a compass; there are just so many types of RVs out there, and if you don’t know where you’re heading, you’ll quickly find yourself lost and overwhelmed. 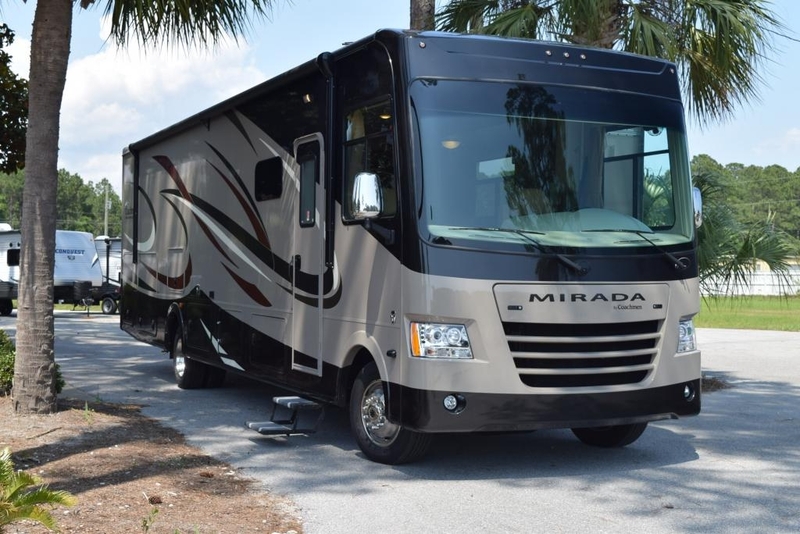 With all the different classes, floorplans, sizes, and amenities, it can be difficult to narrow down your choices and make sure you get the perfect RV for you. Do you want something affordable and easy to drive? Or do you want the most space and amenities that money can buy? Here’s the good news: your search has ended. 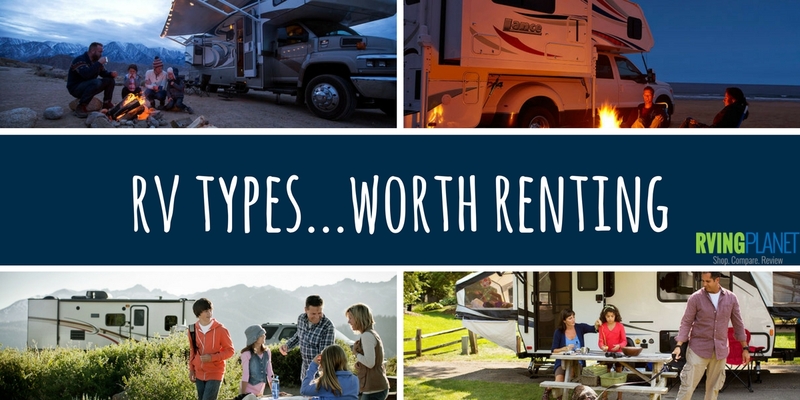 We’ve put together a list of the best RV types in each category. Pop-Up Campers – Easily the most affordable of the bunch, a pop-up camper is basically an RV in a box. They’re lightweight and easy to tow, even if you’ve never towed a trailer before. For being so small in size, they actually offer a decent amount of space. The main living space includes a kitchenette and bathroom, with a bedroom on either side. The drawback? The sides of the RV are made of canvas, which doesn’t offer much in the way of privacy or protection from the elements. 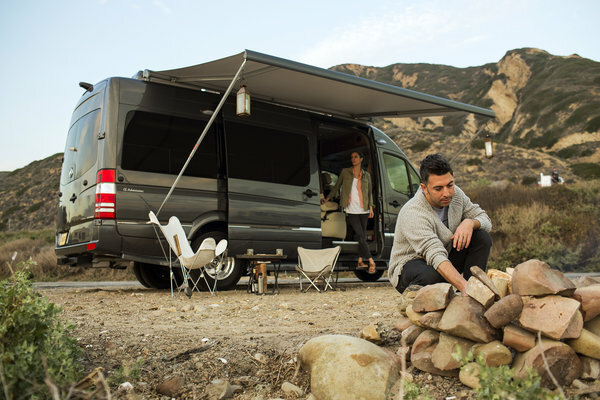 Class B’s – Conversion vans are perfect for a traveling individual or couple hoping to save money. Most are fully self-contained, with a bed, bathroom, and cooking area, all in one compact space. They’re the easiest RV to drive and will allow you to camp just about anywhere. However, their inconspicuous size also means that you’ll have to get used to living in a minuscule 80 square feet or so. 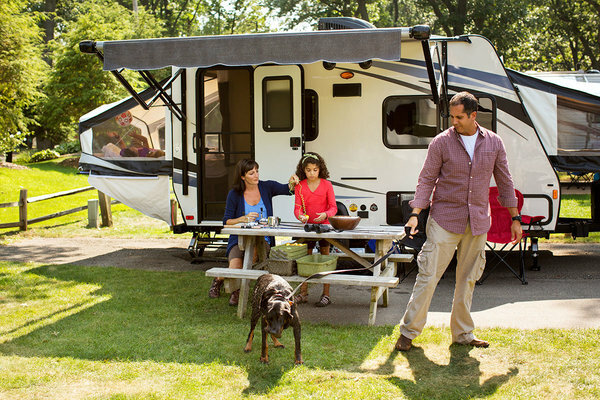 Most RV rental services don’t carry Class B RV’s, so check a peer-to-peer network like RVshare if you’re looking for one. Truck Campers – Truck campers are a real show of function-centered design. With a kitchen, dinette, bathroom, and space to sleep three to four people, they pack a ton of amenities into tight quarters. Some of the larger models have slide outs, which open up additional space and sleeping areas. If you have your own pickup truck, you can save even more money when renting a truck camper. Class A’s – The Class A is the ultimate motorized RV. These lumbering giants can be as long as 45 feet! You’ll have everything you need in a Class A, since they come equipped with more amenities than some people have in their homes. Some luxury models even have a fireplaces, dishwashers, outdoor kitchens, and entertainment centers. The only downside is that Class A’s can be tricky to drive, and larger sizes could be turned away from some smaller campgrounds. Fifth Wheels – Fifth wheels are the high-end versions of towable RVs. Like Class A RVs, they can be as long as 45 feet and are bursting at the seams with amenities. They offer slightly more privacy than Class A’s since they have a master bedroom and a separate bunkhouse. Fifth wheels attach in the bed of your truck on a special hitch, making them sturdier and easier to tow than other large trailers. 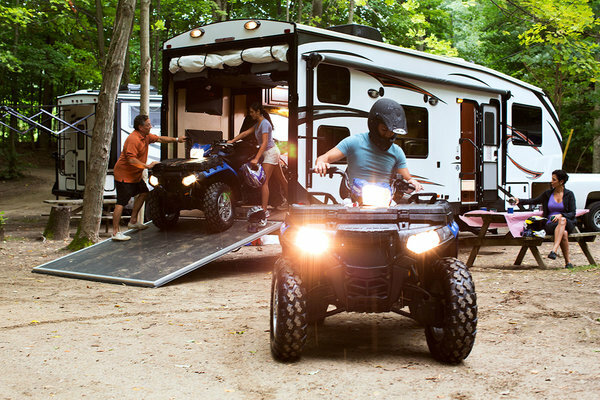 Toy Haulers – If you have a lot of outdoor gear or outdoor vehicles, the toy hauler is for you. They’re massive trailers with a fully-contained living space and a separate garage for dirt bikes, ATVs, or whatever else you want to bring along with you. In most models, the garage converts to another living room or bedroom once you take the toys out. Of course, a toy hauler can also be expensive and somewhat challenging to tow. Expandable Trailers – An upgraded version of the pop-up camper, the expandable trailer has a hard roof and sides. Its name comes from the multiple bedroom sections that pop out once you set up camp. Expandable trailers offer much more privacy than their canvas counterparts. If you’re annoyed by noisy neighbors or threatened by an approaching storm, you can keep the bedrooms tucked in and sleep on the convertible sofa. The expandable trailer is convenient, easy to tow, and affordable, while still offering decent amenities and enough space to sleep four or five people. It’s a perfect choice for small family or group of friends that plans on spending more time outdoors than in the RV. 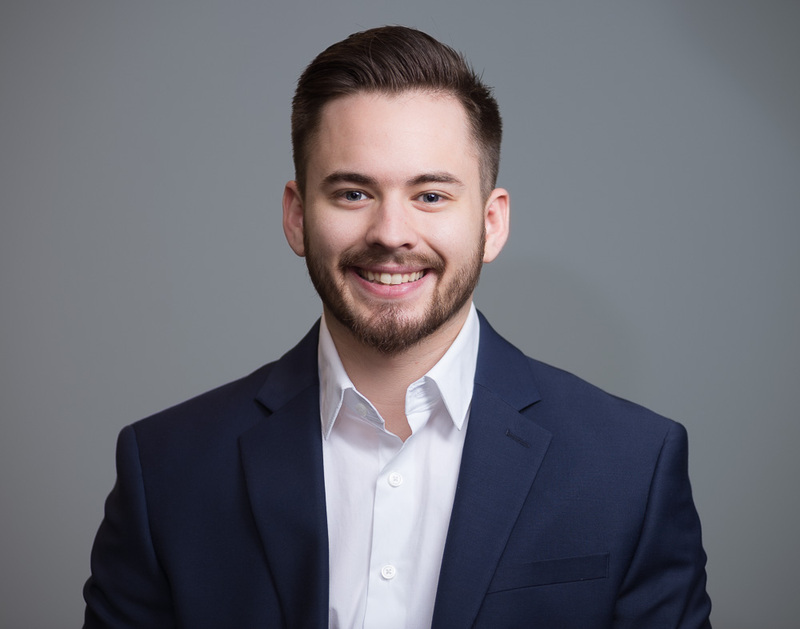 Class C’s – There’s a reason why most RV rental services have inventories dominated by Class C’s – they offer the best balance of affordability, drive-ability, and amenities. They range in size from just above 20 feet to 30 feet or more. Don’t be intimidated, though; even the larger models are comfortable to drive since they’re built on truck or van chassis’. Inside, you’ll find all the amenities that you would in a Class A, with some luxury models featuring washer/dryers, handmade hardwood cabinetry, and fireplaces. What really sets the Class C apart, though is its availability of sleeping areas. With a master bedroom in the back, a separate bunk above the cab, and multiple convertible sleeping spots, you can easily accommodate up to eight people! Travel Trailers – If you’d prefer to tow your RV rather than drive it, a travel trailer might be a good fit for you. 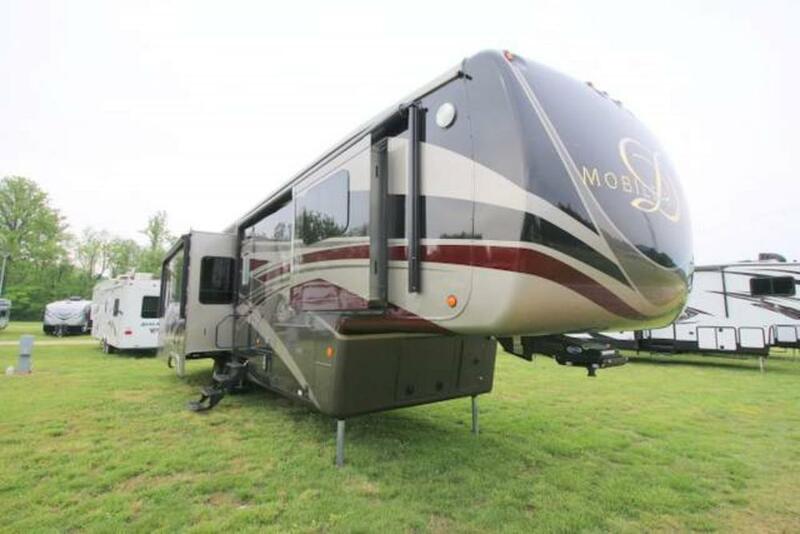 Travel trailers have the most variety of all the classes; they come in a wide array of sizes and floorplans. They can be as small as a cozy 8 feet in length, or as large as 40 feet or more. 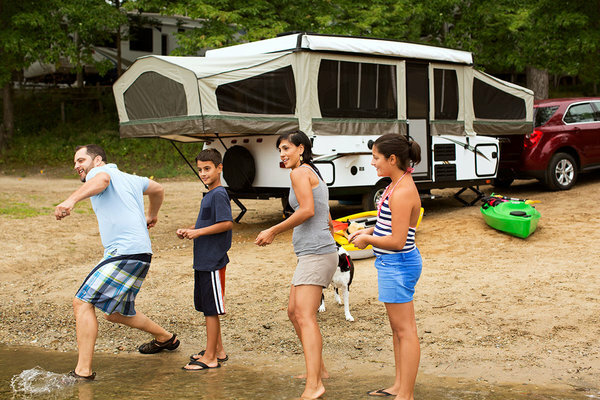 While slightly less expensive than fifth wheels, travel trailers don’t compromise on amenities. You’ll still find a bathroom, kitchen, living area, and plenty of space to sleep up to ten people in the larger models. If you’re looking for extra savings, rent a small or mid-sized travel trailer. Or, you’re looking for something that will turn heads, check out vintage trailers and airstreams. Which RV Will You Choose? 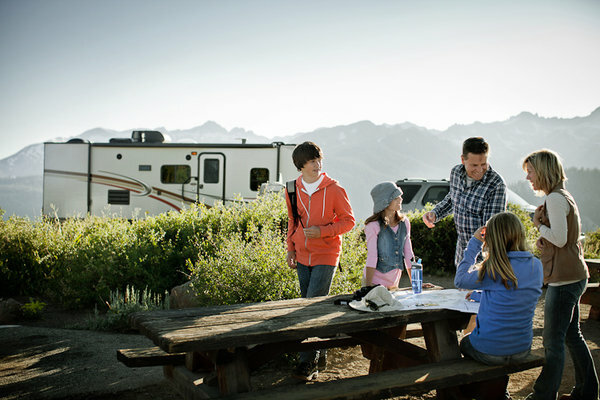 Choosing an RV to rent doesn’t have to be hard; it can be fun! With so many sizes and features, it’s almost like hunting for an apartment. Searching for a rental via a peer-to-peer network like RVshare will uncover some pretty interesting RVs, from custom conversions to vintage rigs and more. 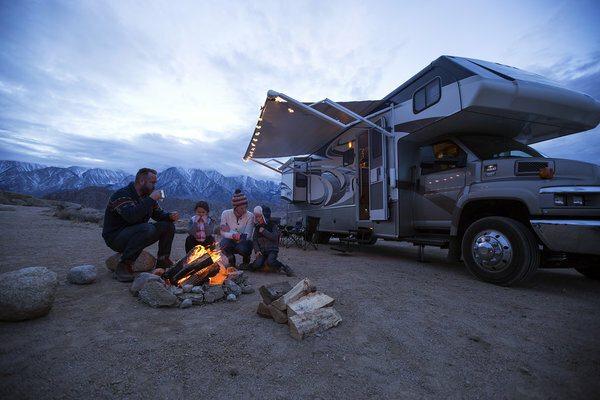 If you’re still having trouble deciding on an RV, consider your priorities: whether you want more savings, more space, or a comfortable balance of both. If you’ve rented an RV before, please share your experiences with us in the comments below!